Activate the ultimate power source! 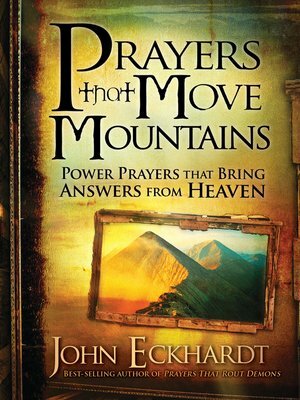 Filled with prayers of repentance, confession, obedience, submission, praise, and worship, Prayers That Move Mountains is your reference handbook of prayers that God answers—every time. Position yourself to capture the heart of God. Based on 2 Chronicles 7: 14–15, these are the prayers that guarantee you will have God's ear, and if you know He hears you, then you know He will answer. Prayer and confession of Scripture are two of the most powerful weapons we have in life. Keep this invaluable tool with you wherever you go, and be prepared with powerful, declarative prayers for every circumstance.